Welcome to Wit's End Studio! Thank you for visiting. I hope you enjoy my work! 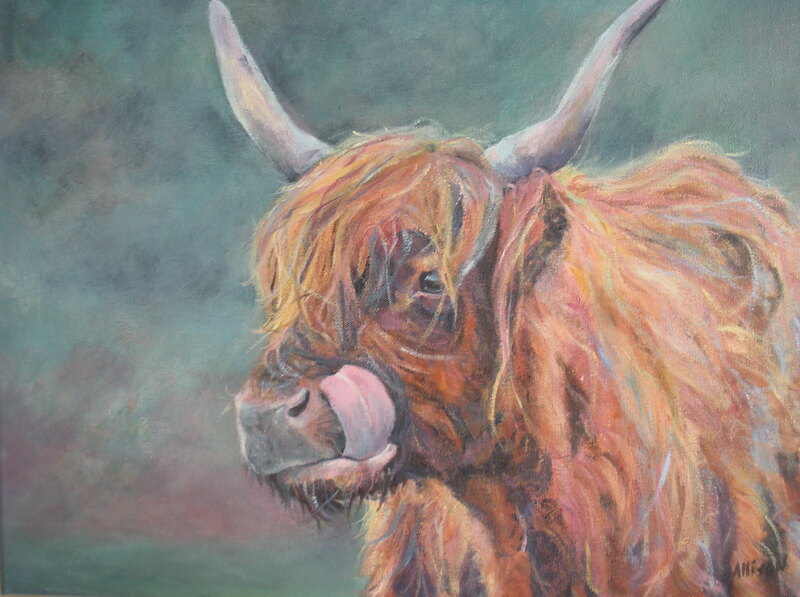 And if you do like my work, please sign up for my free newsletter, and download a lovely desktop calendar as my thanks! 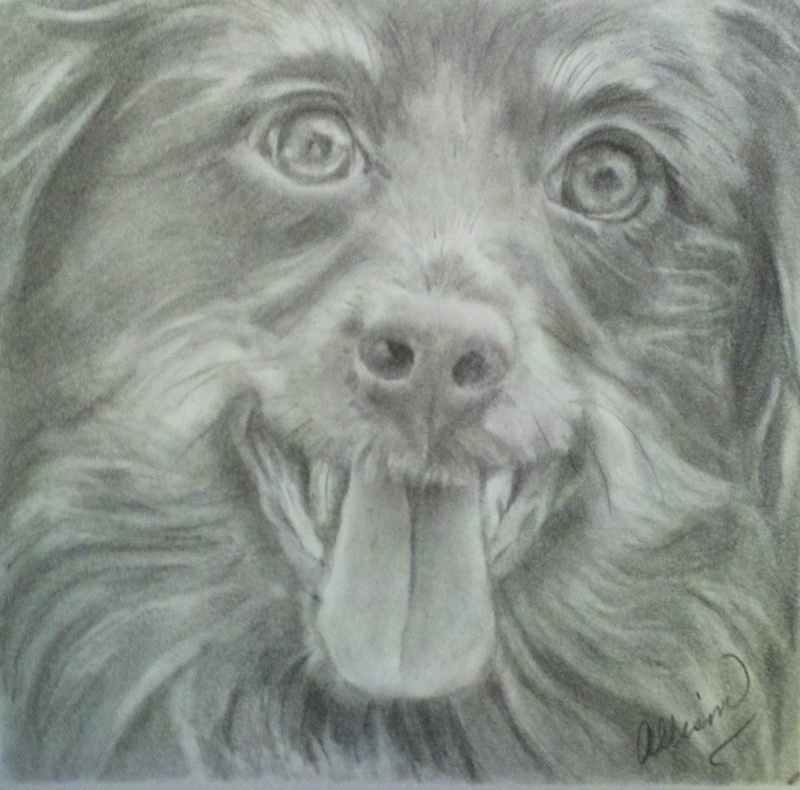 Mini pet portraits in pencil! 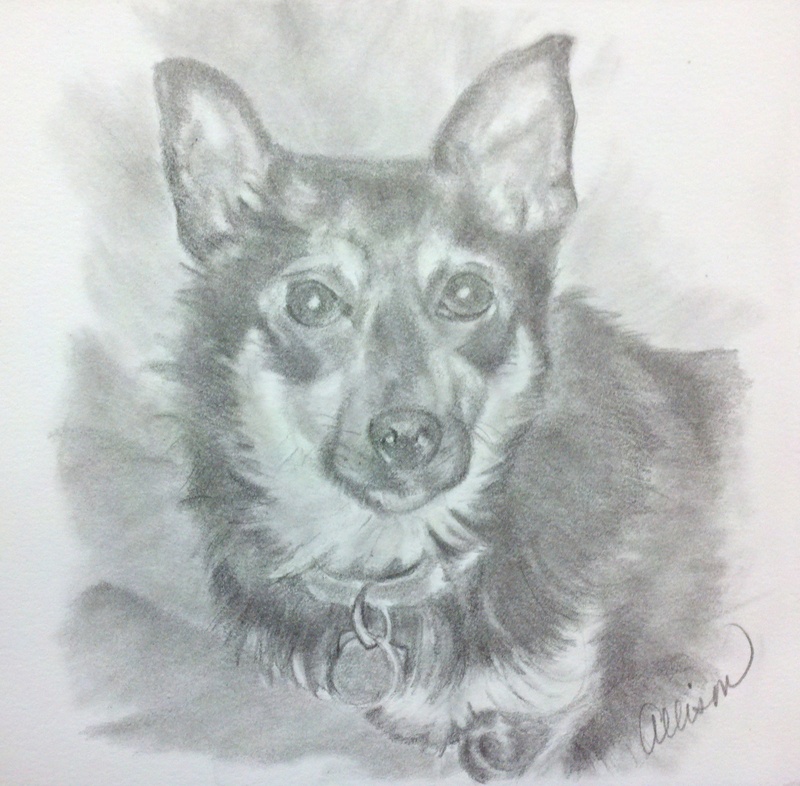 6 x 6 inch pencil portrait of your favorite pet in a 12 x 12 inch mat. If you have more than one pet, these little portraits look great grouped together! $50.00 each! Contact me to book your portrait now! NEW! Check out my new "Paws Daily" gallery. 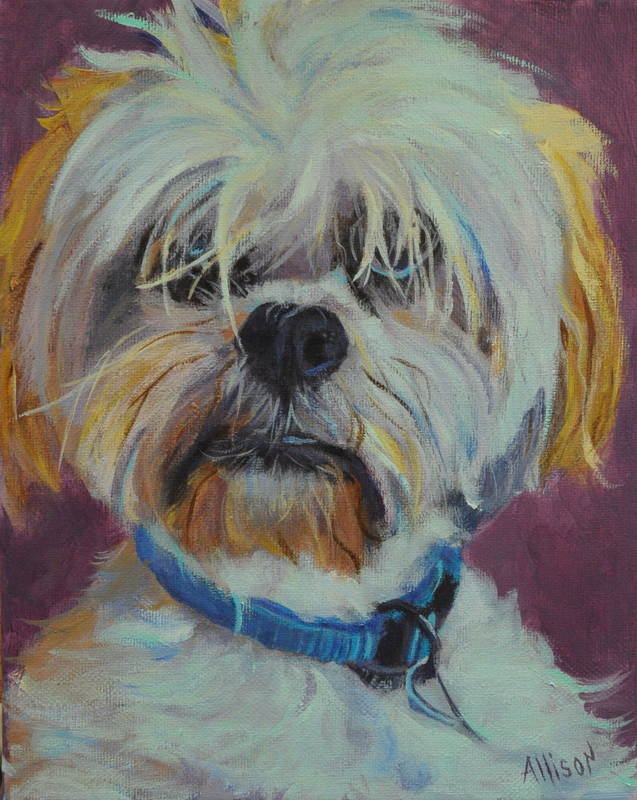 I'm just getting started on this project, but stop by often to see my new shelter animal portraits. 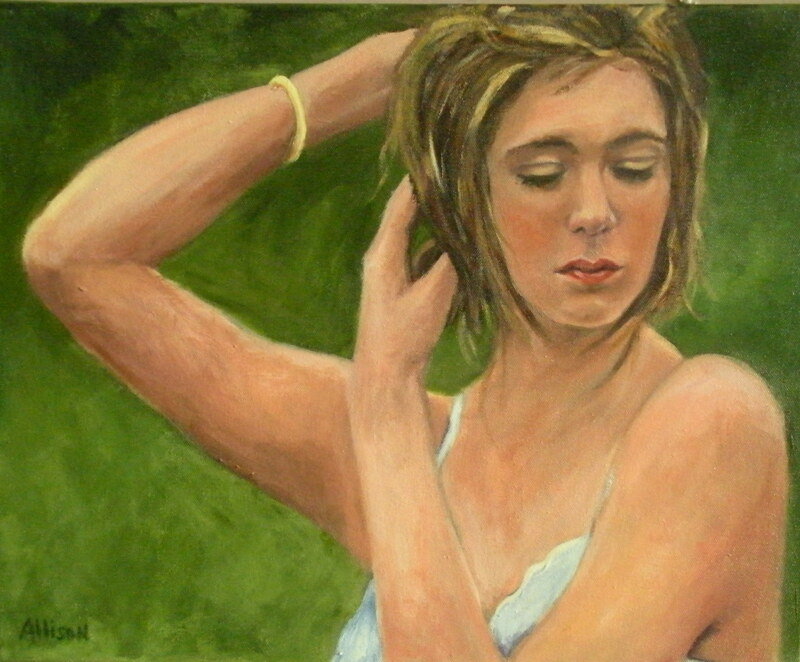 If you purchase one of these portraits, 10% of the proceeds will be donated to the animal shelter of your choice. Please: Before you buy a new pet, consider adopting from your local shelter. Shelters are over-run with beautiful animals in need of forever homes. Give them a chance: you won't regret it! NEW! Now offering custom created, handcrafted jewelry! 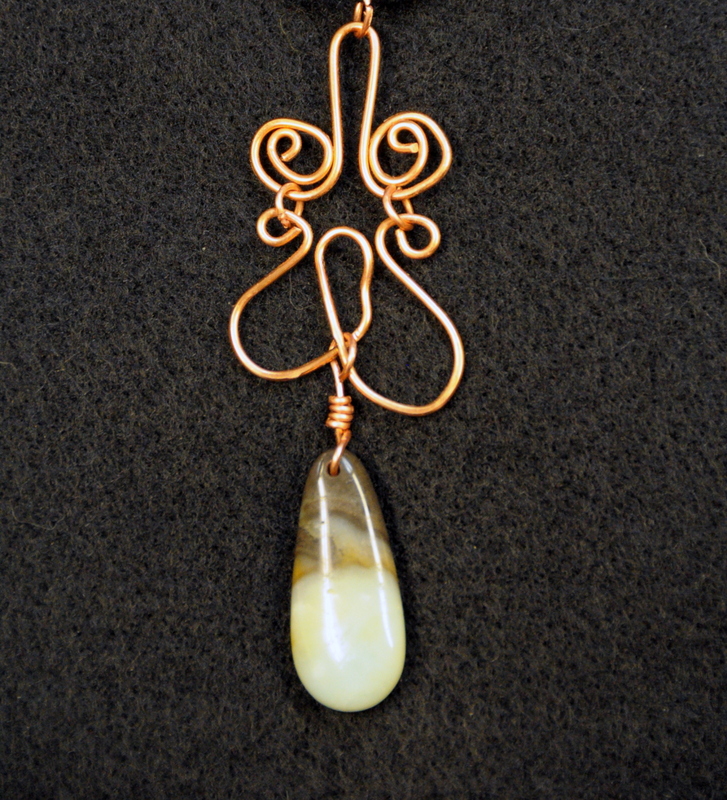 Visit my jewelry gallery to see pieces now available, or contact me for a custom made piece.